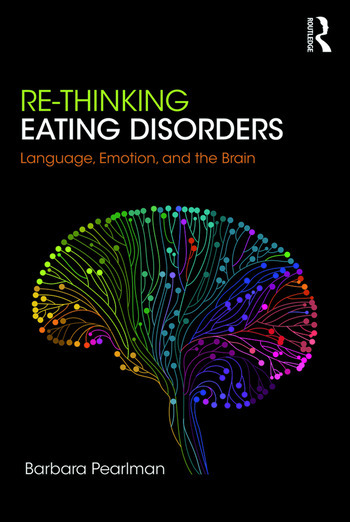 In Re-Thinking Eating Disorders: Language, Emotion, and the Brain, Barbara Pearlman integrates ideas from psychoanalysis, developmental psychology and cutting-edge neuroscience to produce a model of neural emotional processing which may underpin the development of an eating disorder. Based on clinical observations over 30 years, this book explores how state change from symbolic to concrete thinking may be a key event that precedes an eating disorder episode. The book introduces this theory, and offers clinicians working with these challenging clients an entirely new model for treatment: internal language enhancement therapy (ILET). This easily teachable therapy is explored throughout the book with case studies and detailed descriptions of therapeutic techniques. Re-Thinking Eating Disorders will appeal to students and practitioners working with this clinical group who are seeking an up-to-date and integrative approach to therapy. Barbara Pearlman, Consultant Clinical Psychologist, is an Honorary Fellow at the Centre for Clinical Neuropsychology Research, University of Exeter. In 2010, she was awarded a PhD for her theoretical work on the neurobiology of how emotions and language are processed in eating disorders, which lead to the creation of a new treatment: internal language enhancement therapy.